The committee concluded that there was no conspiracy among Donald Trump’s team during Presidential campaign and the government of Russia. Trump celebrated on his Twitter account the information, that was revealed in a declassified report entitled "Russian plot". The president, likewise, described the entire process he’s been through as “a total witch hunt". The investigation started in January and lasted a month of January. It had as the main objective to determine if it existed, or not, some type of coordination between Kremlin and Trump´s team. The report establishes that, when they were asked directly, none of the interviewed witnesses gave tests of a plot, coordination or conspiracy between the campaign of Trump and the Russian government. The document, that was just supported by the Republican members of the committee, affirms that they were not "evidence" that, despite Trumps’s bonds with Russia, the multimillionaire's businesses before the electoral campaign could be related with a possible conspiracy between the president’s team and the Kremlin. The final report was greeted with skepticism by the Democratic opposition, whose board leader, Adam Schiff, called the conclusions "deficient" and "shallow," according to local media. 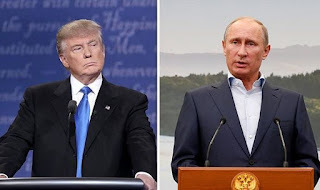 In the conclusions, the committee establishes that in 2015 Russia started a campaign related with the presidential elections in United States" by order of president Vladímir Putin, who wanted to create discord among the American society. According to the legislators, the Moscow maneuver follows a Kremlin’s strategy, applied since "at least a decade ago," to take advantage of "openness and freedom of expression" in the country. The report is consistent with the country's main intelligence agencies, which have been insisting with the idea that Moscow have been trying to interfere in several ways during several electoral campaigns. On the other hand, Devin Nunes, Chairman of the Intelligence Committee of the House of Representatives, criticized the intelligence agencies again for its response to Russian interference and for what he considered an "excessive and unjustified" censorship of the report, that has a lot of suppressions, many of which are not "related to confidential information". So that was it, Trump wins again. Actually, he immediately echoed the conclusions and posted in his Twitter account a text gloating about the decision. Typical.